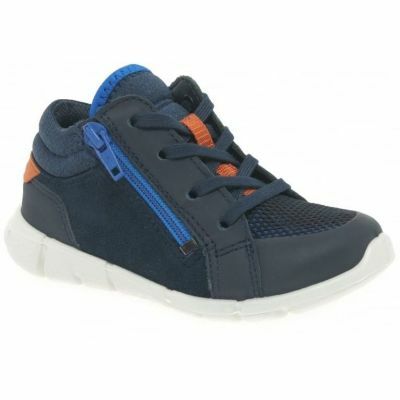 ECCO FIRST navy children's boots are made of smooth leather with added GORE-TEX technology that allows 100% waterproofing to protect children's feet. 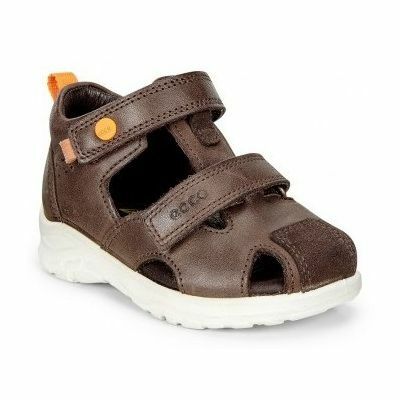 Closure with velcro straps allows for a comfortable fit. The leather lining fits like a glove for comfort. The polyurethane sole directly injected onto the shoe's hip is light, flexible and durable.